235 mm long, 1.7 mm thick . 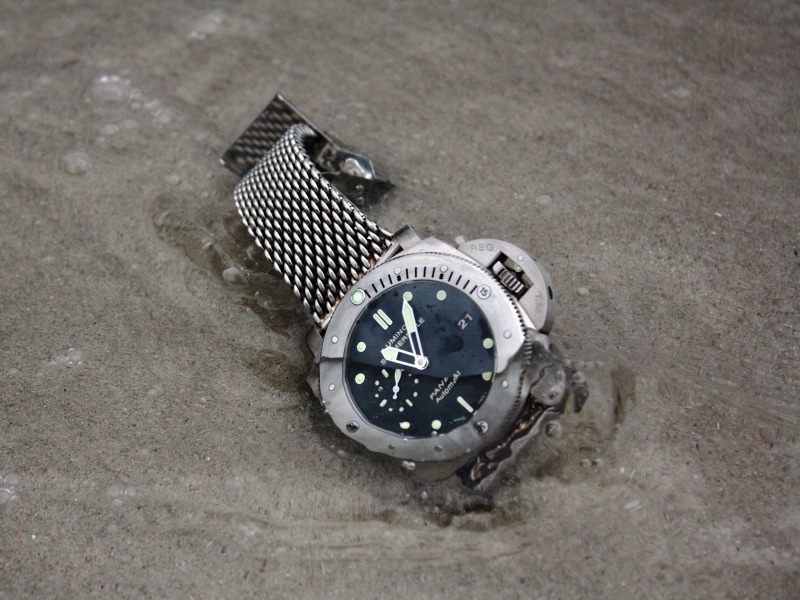 Price is 32.- US $ , (Note: Dealers quantities up from 20 pieces by request. 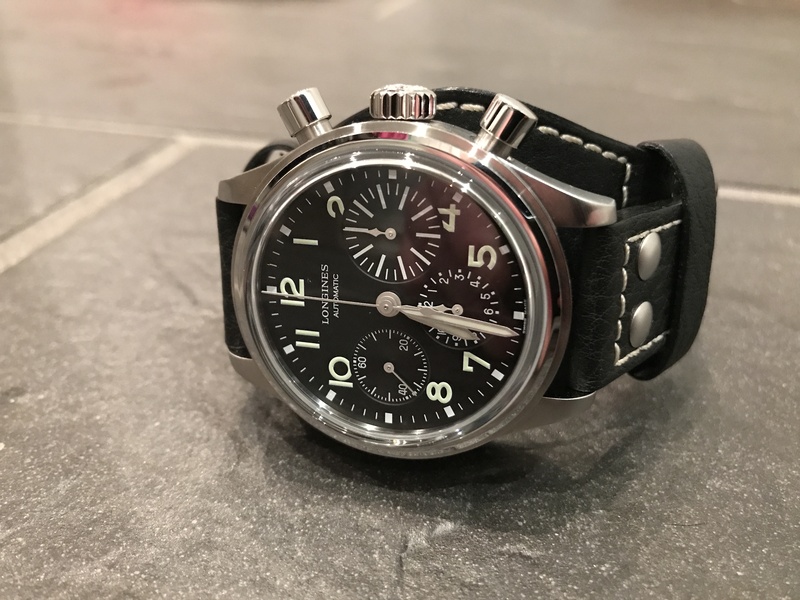 High Quality natural rubber Straps German made, available in black , with ss tang buckle and rubber loop , the micro waffle style back will hold your watch without to turn on the wrist. 195 mm long, 3-4 mm thick . 235 mm long, 1.6 mm thick . Price is 14.- US $ , (Note: Dealers quantities up from 20 pieces by request. with ss or y gold plated tang buckle and Perlon loop, welded, 235 mm long, 0.9 mm thick . Price is 10.- US $ , (Note: Dealers quantities up from 20 pieces by request. We stock them in 18/16,20/18 and 22/20 mm, black and dark brown. Price is 28.- US $ , (Note: Dealers quantities up from 10 pieces by request. 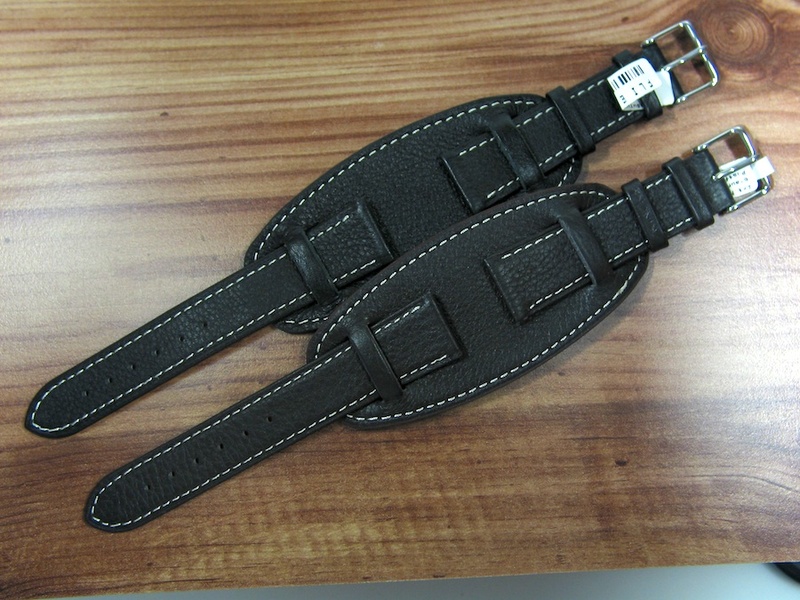 Hand made in Germany high quality genuine Buffalo Leather Straps, available in black with oval holes + 3 mm wide ss tang buckle satin brushed , sealed edges, closed ends for spring bars and decoration Rivets, with buckle flap. 205 mm long, 5 mm thick at lug tapperd to 3 mm at the buckle end. WWI Bund style Pad 135 x 42 mm 2.8 mm thick. We stock them in 18/18, 20/20 and 22/22 mm, black. 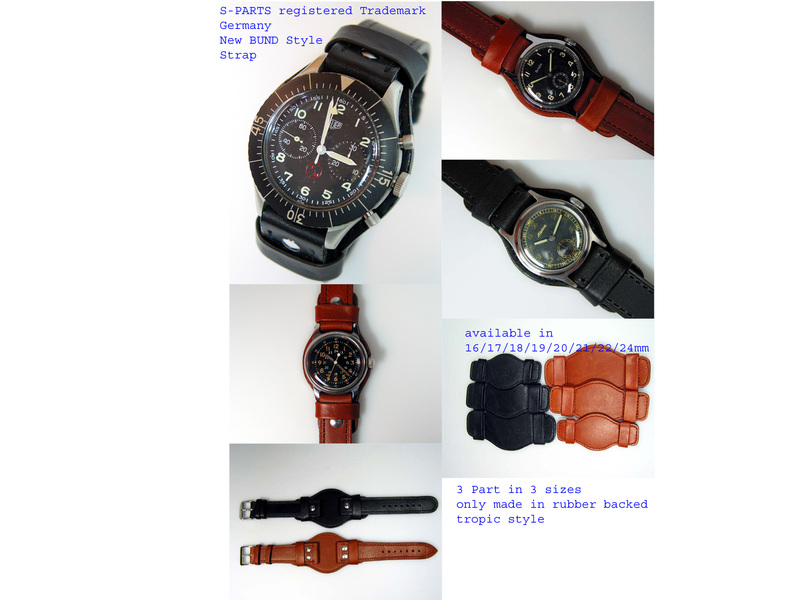 Price is 33.- US $ , (Note: Dealers quantities up from 10 pieces by request. 195 mm long, 2 mm thick . WWI Bund style Pad 105 x 47 mm 2.8 mm thick. 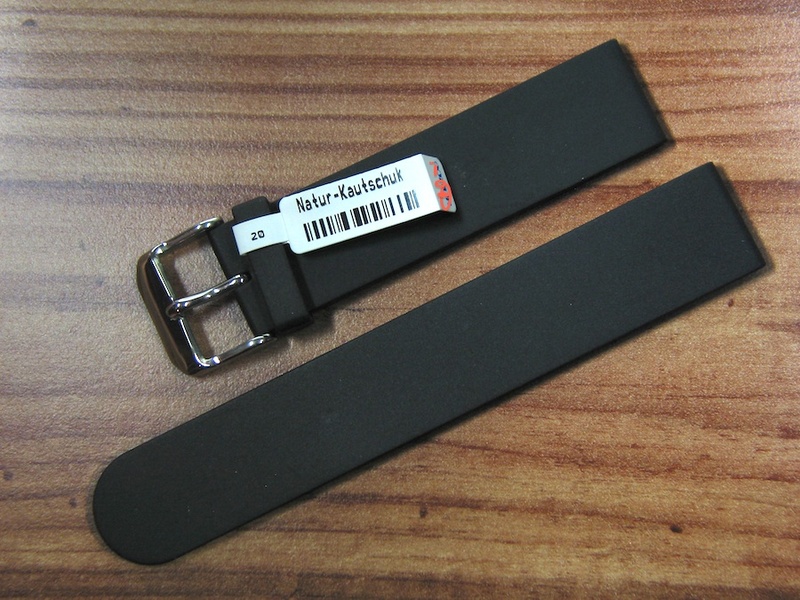 We stock them in 18,20 and 22 mm, black. 275 mm long, 1 mm thick . 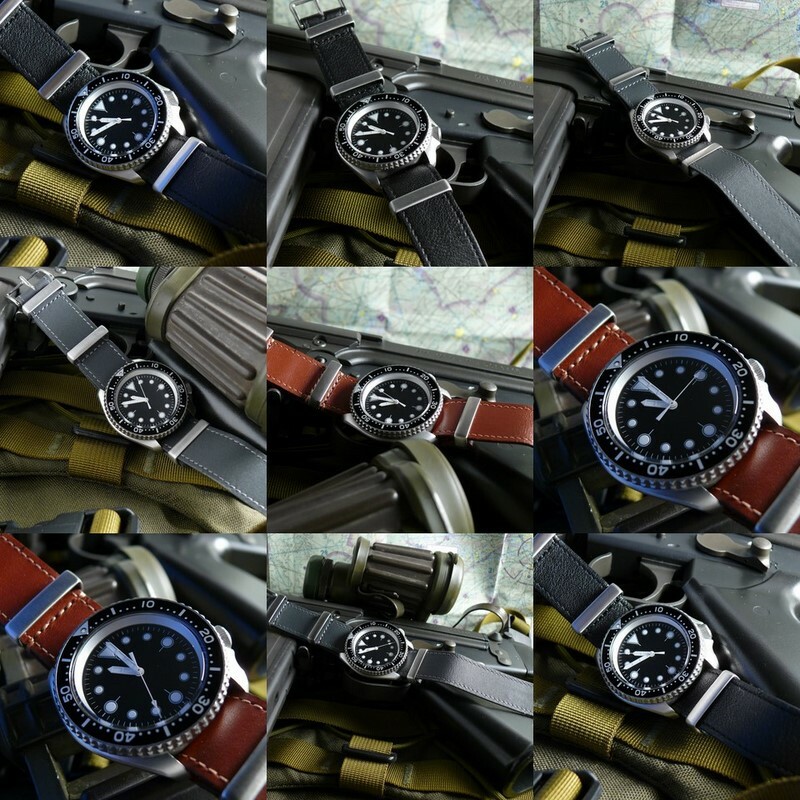 We stock them in 18,20,22 and 24 mm, black and black-gray. 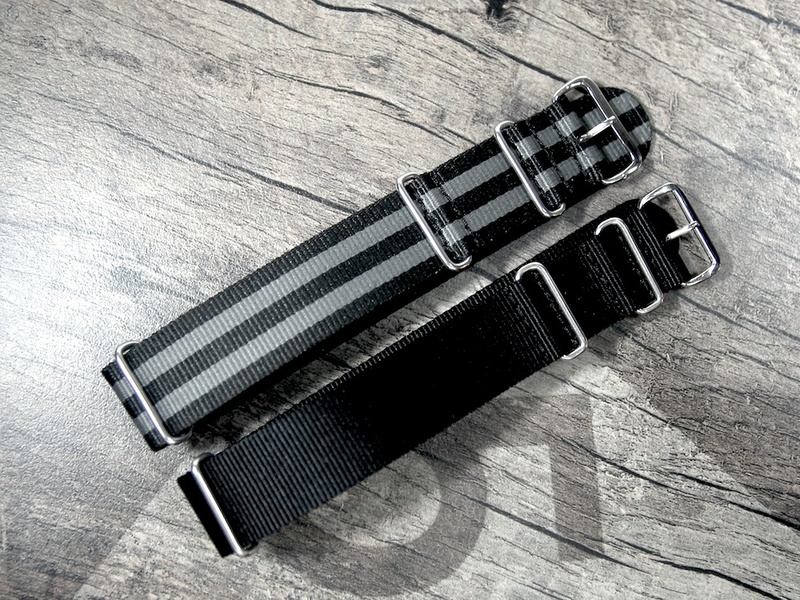 German Army HEUER BUND STRAPS 100 % real and NEW, this 205 mm long strap was created in the 60s for the german air force for 19 to 20 mm lugs and fits also on other watches like Zenith , SINN ,BELL & ROSS ect., still in the factory plastic back. 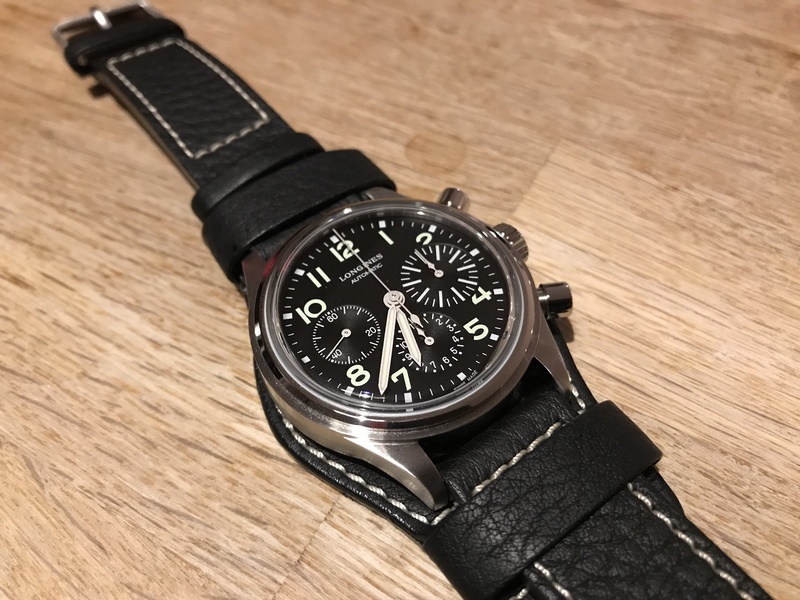 Made in germany , made of real swiss nappa leather , this are the original straps made for the german air force , with the ID numbers on the back and heavy german made SS buckle. 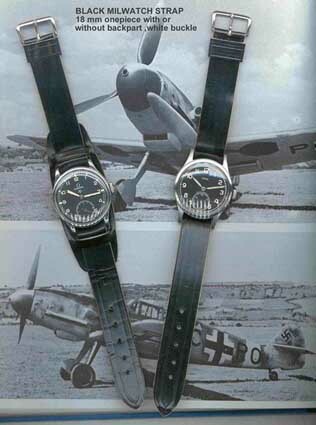 Please don‘t compare this straps with the cheap asian copies which comes up , ONLY this 19 / 20 mm black straps are real german Airforce straps, NO 18 or 22 or brown straps are real issued by the german airforce. 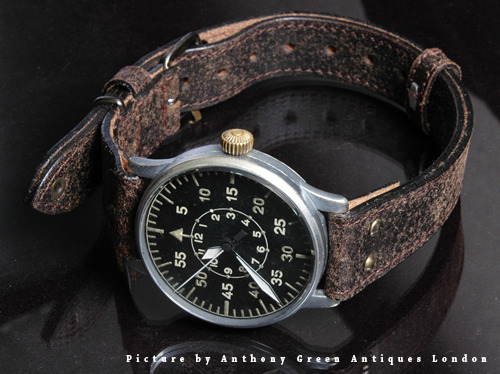 The original WWII German Luftwaffe design 270 mm long. We ship well packed in a registered airmail bubble envelope. 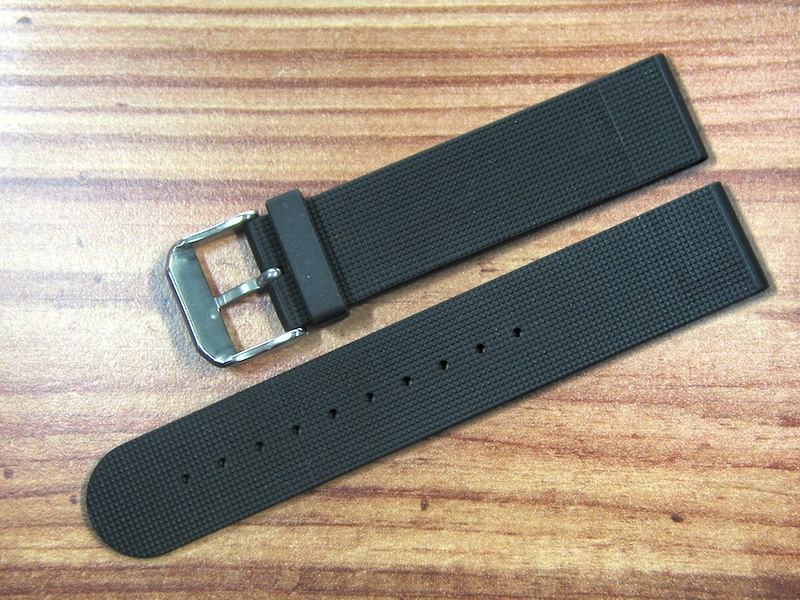 The 18 mm black straps come with a metal buckle. 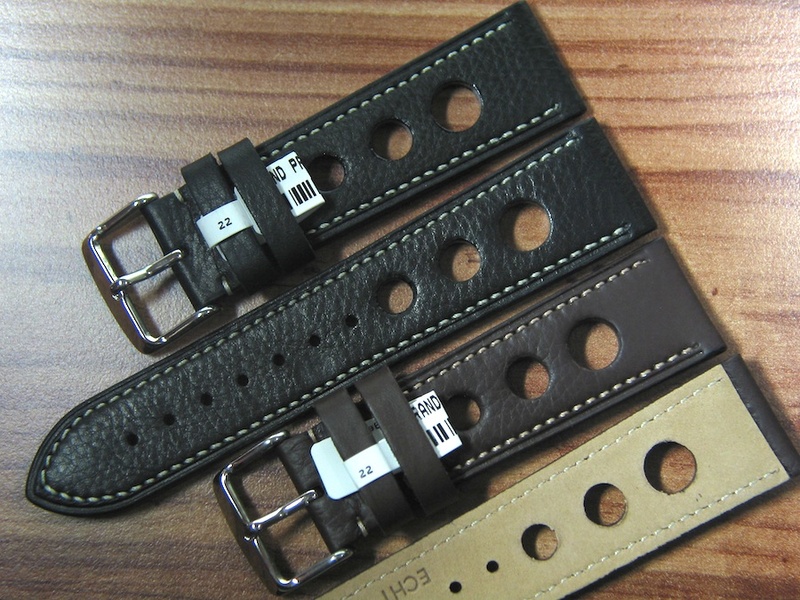 We stock a few 16 mm in brown who have a y gold color buckle. 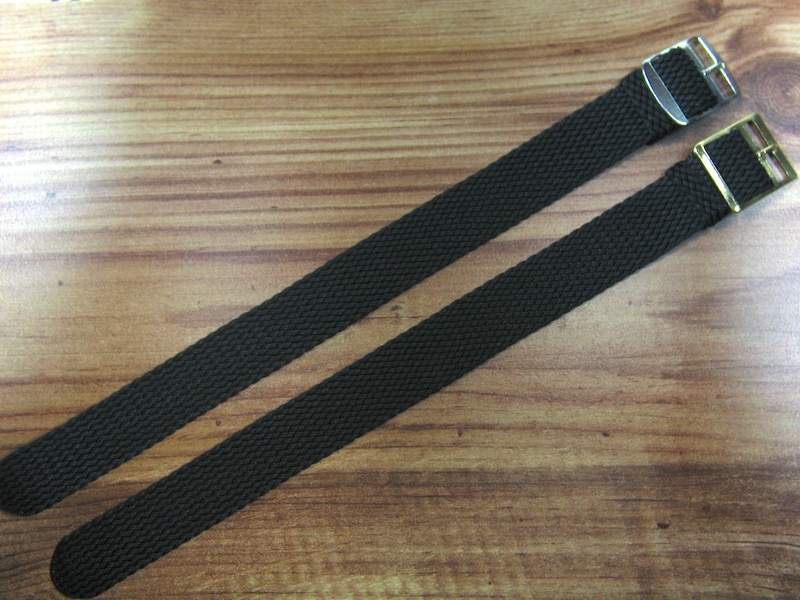 We made a different construction for a much higher quality then standard BUND straps are made. Tropic style with genuine black rubber and Gore-Tex inside for hot & wet climate. 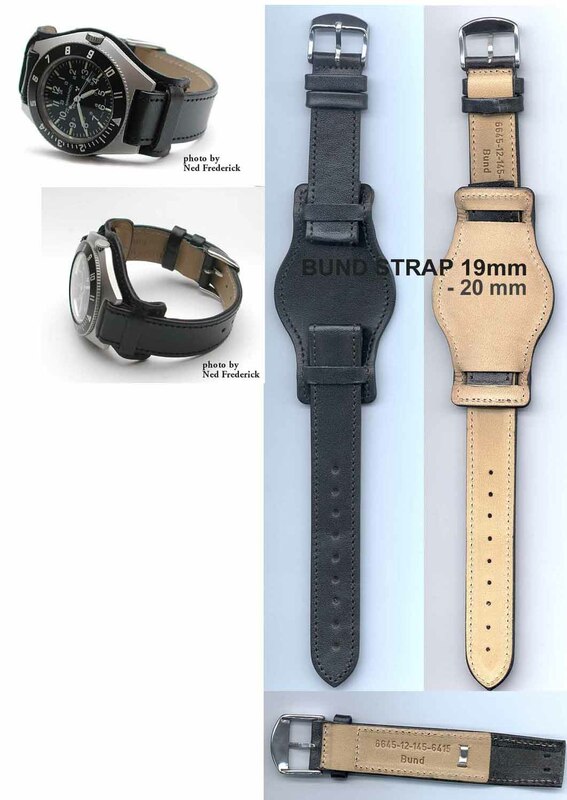 BUND pad is available in black or brown tropic style. In 3 different sizes. NOT brass like in the 40s. 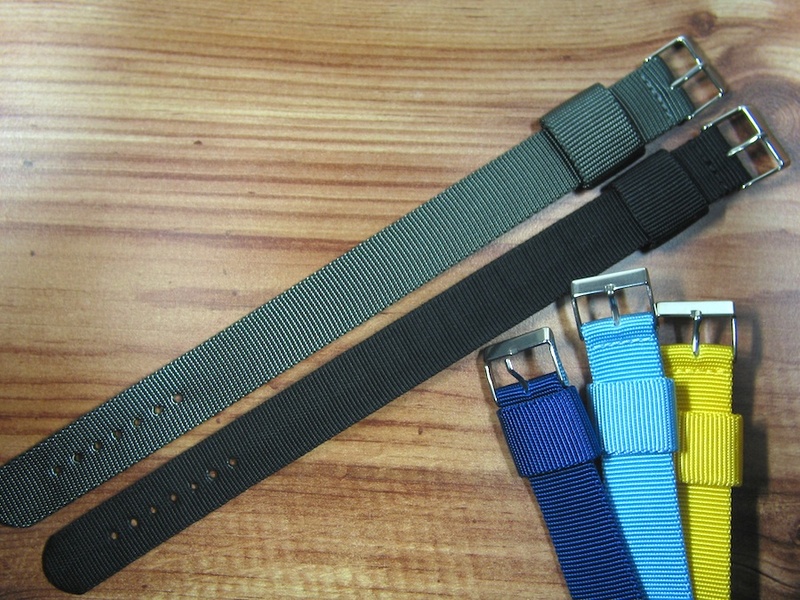 Price is about 74.- US $ per strap. 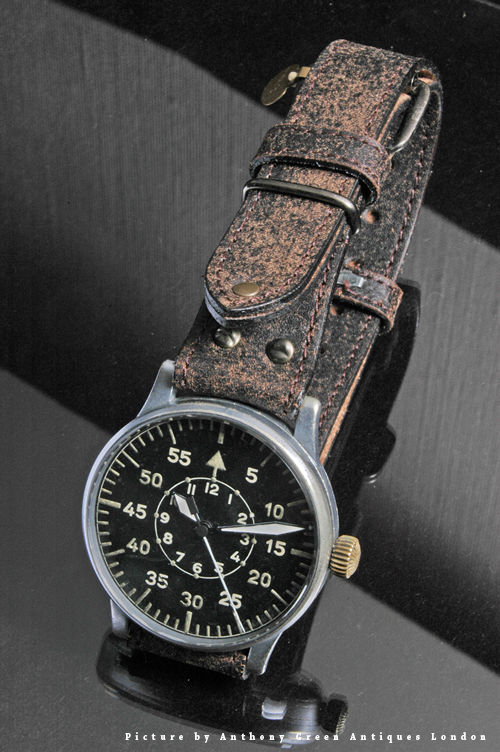 Big Pilot Buffalo MIL strap 18, 20 , 22 and 24 mm regular and topic style rubber backed black or brown . The off white stitching looks great . Regulars are made of 2 sheets of genuine buffalo leather with one sheet of special antistretch material between the leather sheet, tropics are made with one sheet of Gore-Tex material and a genuine sheet of black rubber on the inner side to protect the leather from sweat, that's very good for wet climate. The real Jürgen’s German made ss Mesh available in 18 , 20 ,22 or 24 mm ALL SS MESH Bracelets with SS secure Deployant MADE IN GERMANY THE BEST MESH BRACELETS YOU CAN GET . The 18 and 20 mm parallel bracelets have a standard maximum length of 145-165 mm , they are about 2.8 mm thick. 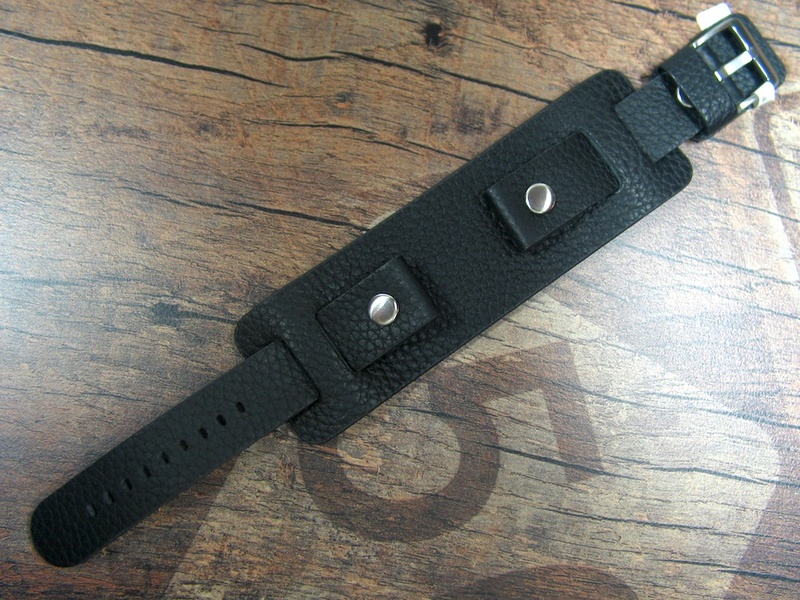 All 18 and 20 mm bracelets are adjustable by spring bar in the clasp for about 20 mm ( 145 to 165 mm ) . 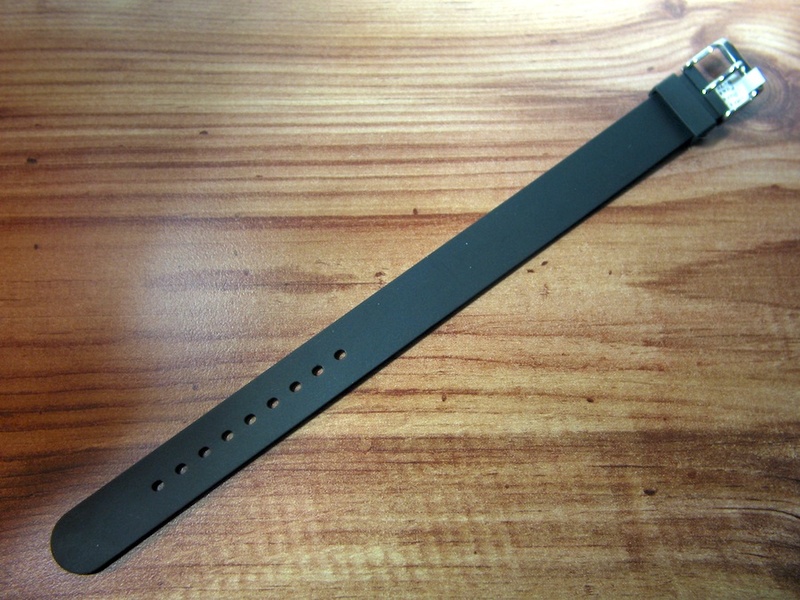 The 2.8 mm thick 22 and 24 mm conic bracelets are adjustable 20 mm 150- 170 mm. All are available in : Polished , satin or sand blasted. MONSTER Custom Heavy Mesh 4.4 mm thick made by order! Manufacturing needs up from 2 weeks . Custom Length sizes will cost about + 30.- US $ for one bracelet. 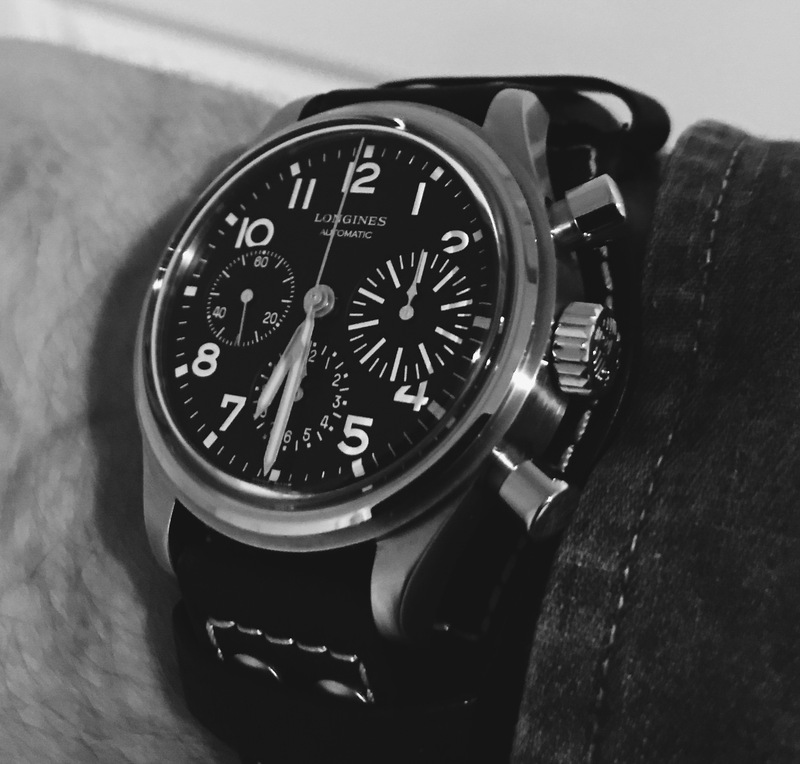 length is without your watch from spring bar to spring bar . ( One inch is about 25.4 mm ) Please notice : No exchange for custom made bracelets !